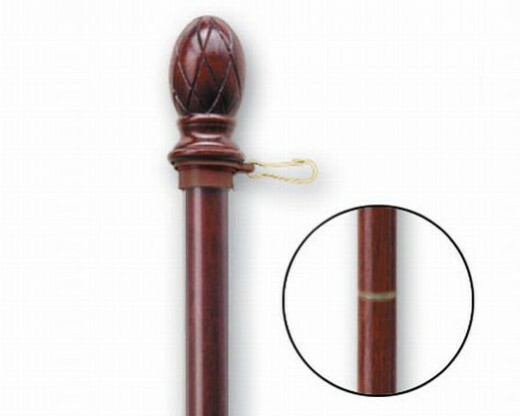 5' tall, 2 piece flagpole for your yard. Mahogany stained wood with a matching pineapple top. 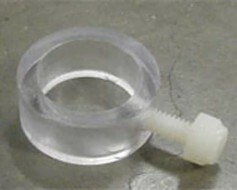 Anti-wrap ring included for sleeved flags. For grommeted flags, we recommend using two grommet rings (for 1" diameter pole) on this flagpole. 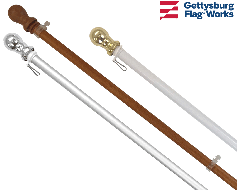 I very much enjoy the 5â€™ Mahogany wood flag pole and the plastic grommet rings I purchased from Gettysburg Flag Works. I am using them with my 3â€™x5â€™ antique Betsy Ross American flag. 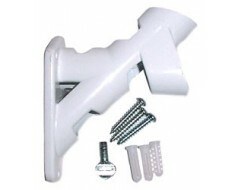 They are high quality and display well. 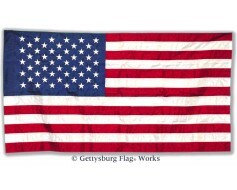 I highly recommend Gettysburg Flag Works with a Five Star rating.